"How long can lubricants be kept in storage? We have several oils that have been in storage for more than one year. What happens to a lubricant after it has been stored for longer than a year?" The storage life of an oil or grease is an often-overlooked aspect in a lubrication program. 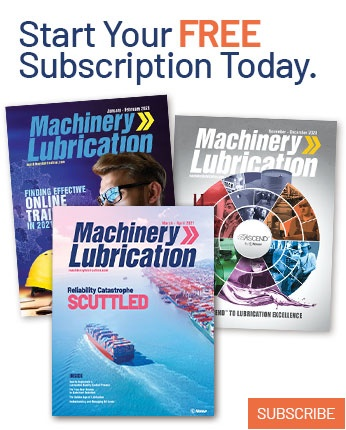 Although it is rare to find an agreed-upon consensus among suppliers, it is important to understand that some issues can appear after just a few months, depending on the lubricant used. Be sure to consult each supplier regarding the shelf life of the lubricants in your program and perform analysis on any lubricants that have been stored longer than the recommended timeframe to confirm that their quality has not been compromised. Keep in mind that the environment in which the lubricant is stored often plays as critical of a role as the time in which it is in storage. Among the factors that have a direct impact are the temperature and temperature variance, the container in which the lubricant is stored, whether the lubricant is stored inside or outside, agitation of the lubricant, and the humidity. Maintaining a clean, cool and dry atmosphere will be key to ensuring the lubricant reaches its maximum storage life potential. The supplier-estimated storage times generally will be dependent on several lubricant characteristics, such as the base oil, additives and thickener type. 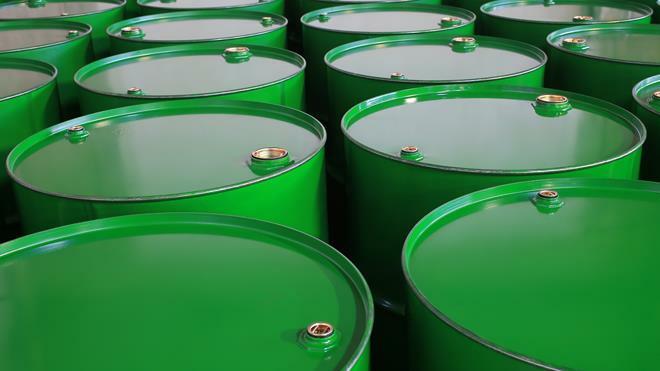 Some examples of these recommendations would be approximately one year for lithium-based greases, six months for calcium-complex-based greases and three months for custom-blended lubricants. If staged in ideal conditions, oils with a low percentage of additives may be stored for more than five years, while fire-resistant and soluble oils typically have a much shorter range of just six months. There are a few noteworthy concerns when using lubricants that have been subjected to long-term storage and have surpassed the supplier’s suggestion for storage life. For oils, these might include oxidation, moisture adsorption and sediment build-up over time. The primary concern for greases would be the separation of the oil and grease. Again, performing analysis and testing the lubricants in question beforehand will help tackle these issues prior to having to deal with them once they are in the system. In conclusion, you can ensure your lubricants reach their maximum storage life while minimizing long-term storage-related issues by knowing the suggested timeframes established by your supplier and addressing the environmental conditions.